Our small, unique hotel offers you an opportunity to relax in one of NE Scotlands most peaceful and picturesque seaside villages. With only a handful of local residents it truly offers the quiet destination to enjoy the sounds of the sea. Be it the beauty of a flat calm sea or being engulfed in the power of a storm, we offer a year round experience. 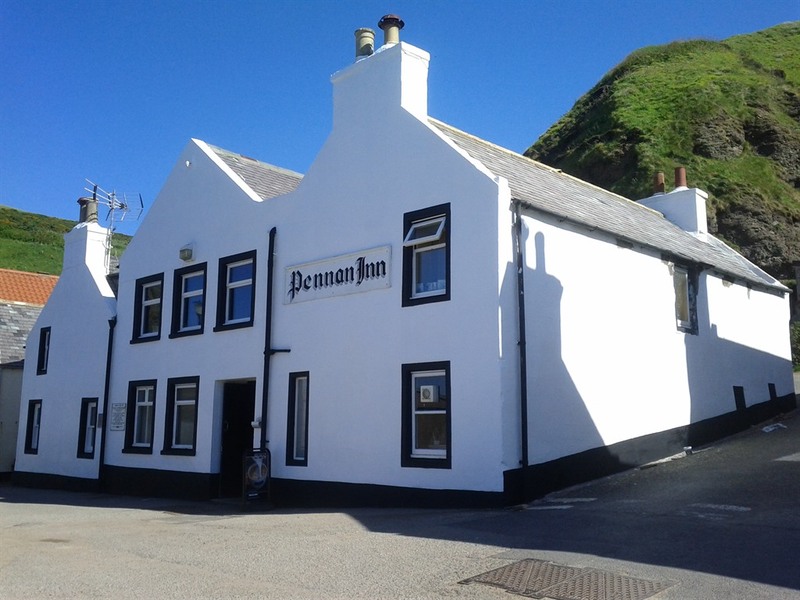 Pennan is on the North East coast and is only 10-20 minutes from local amenities in Fraserburgh or Banff, towns steeped in local fishing history, both with local fishing fleets. The hotel offers a private eating experience, where the owner/chef takes pride in delivering a menu based on the seasons and availability, all sourced locally. The charming, rustic restaurant can comfortably seat up to 20 people. Our staff are here to ensure that your stay is a memorable one, we offer a warm and friendly experience for the weary traveller. The rooms are well maintained, airy and bright encouraging that peaceful feeling.